Tuesday, September 5, 2017, 10:00 a.m. - 2:00 p.m.
Do you want to attend school to further your education? Need assistance during your job search? Let us help you reach your goals! 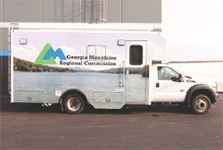 The Mobile Training Unit is available to assist anyone searching for a job. Monday, August 28, 6:00 p.m.
Join the book club on July 24 at 6 pm to discuss The Path Between the Seas by David McCullough. 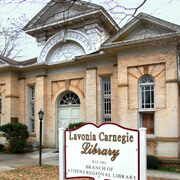 For more information, contact the library at (706)356-4307.